In stock ready for immediate shipping. Usually ships within 1-2 business days. 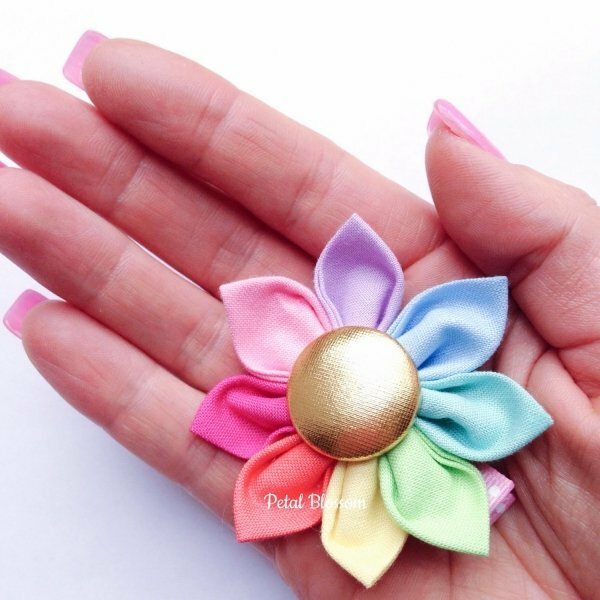 This truly is a whimsical hair clip that any little girl is sure to love. 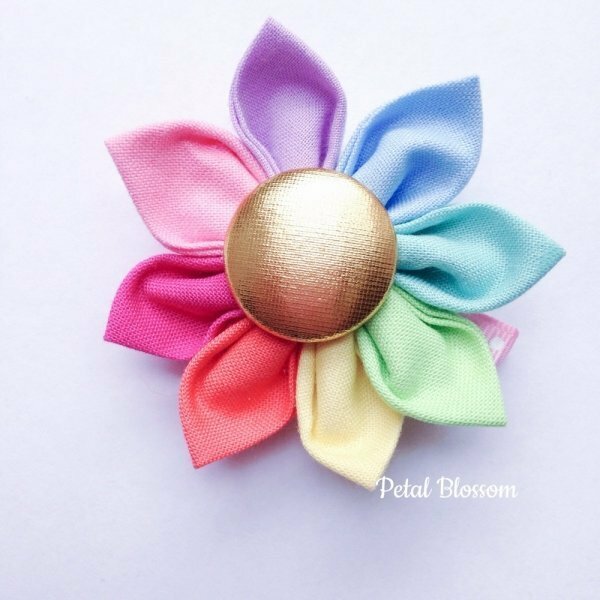 Featuring a dreamy pastel rainbow colour palette in shades of pink, purple, blue, green, yellow and orange, the fabric hair clip has 8 hand sewn petals, accented with a metallic gold button centre. Placed on a 4.5 cm non slip alligator clip. These hair clips are perfect Christmas stocking fillers or birthday gifts. Size: 6.5cm from tip to tip, suitable for all ages. Please supervise young babies while wearing headbands and hair clips as they may pose a choking hazard. Lovingly handmade here in Australia. Also available in a bright rainbow version. NOTE: These are sent via un-tracked post to keep costs low, if you wish to have these tracked please contact us (additional costs will apply) or choose express postage.